Tired of getting a phone call in a bad time: in a meeting, when you're asleep, when you're making sweet sweet... banana bread , and all that OS gives you is "Slide to Answer"?!?! It can be extremely annoying to wake up to a phone call disoriented, not knowing what's going on, just wanting to go back to sleep, but your stupid phone wont let you decline the call(at least easily). This tweak fixes all of that, seamlessly. 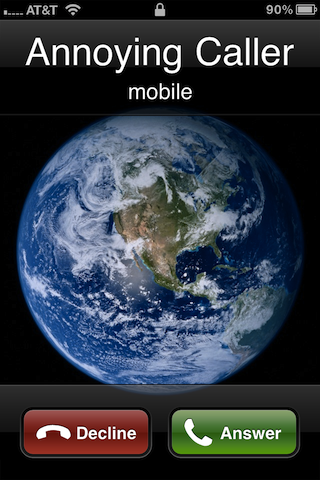 It restores the "Accept"/"Decline" buttons from a call, EVEN when your phone is currently asleep/locked(the key improvement). Worried about compatibility? It works on all iPhones, all modern firmwares, and on the retina display, perfectly. And, with it using the system's localized strings for the button titles, you don't have to worry about it if you're a themer or string changer. Enjoy! 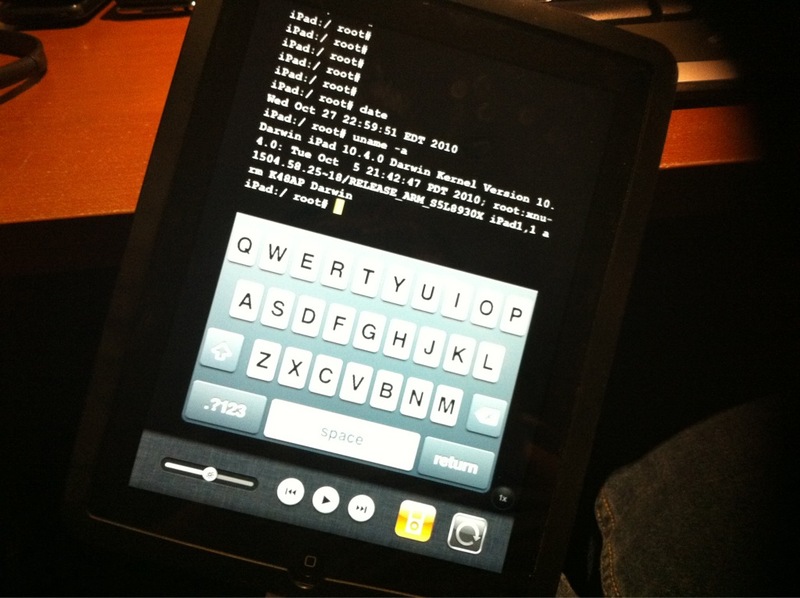 iH8sn0w posted some pics on twitter yesterday, that show an iPad on iOS 4.2 beta3, jailbroken and running Mobile Terminal. Presumably, this was done with his Windows jailbreak tool, Sn0wbreeze. There has been much speculation as to when the next version of Sn0wbreeze will be released, but the developer says he is not waiting for iOS 4.2. It is unlikely that iH8sn0w would include support for a beta release firmware, so the jailbreak for iOS 4.2 probably won’t be out until after the official release of the firmware in November. I would guess that the iPhone Dev Team and the Chronic Dev Team have this jailbreak figured out, as well, but with the recent lockscreen security bug going public, we are going to lose our untethered jailbreak in iOS 4.2. The dev teams will have to figure out a new way to provide an untethered jailbreak for us. Update : Version 2.1 released ! 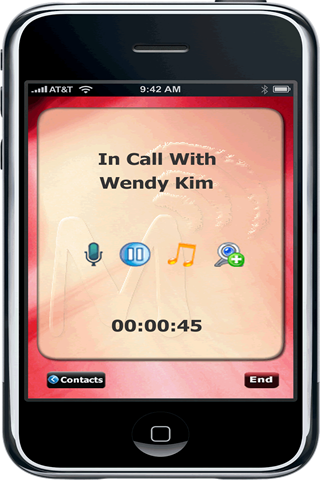 iMovicha has launched their exclusive app to make FaceTime-like video calls from your iPhone 4 to Windows, Mac OS X, Android, Symbian, Windows Mobile (Blackberry in the plan; coming soon). Have a live video chat with your buddies on desktop and with any major smartphone with camera; voice call and Instant message with your buddies any time. 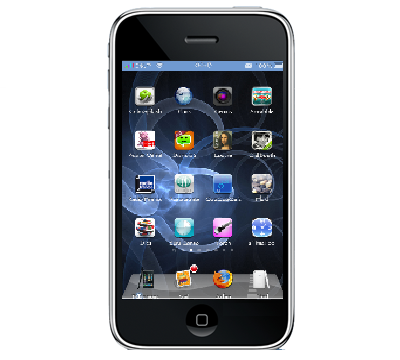 iMovicha supports multiple operating systems in mobile and laptop platforms. Video call can either be mobile-to-mobile or laptop-to-mobile or laptop-to-laptop. 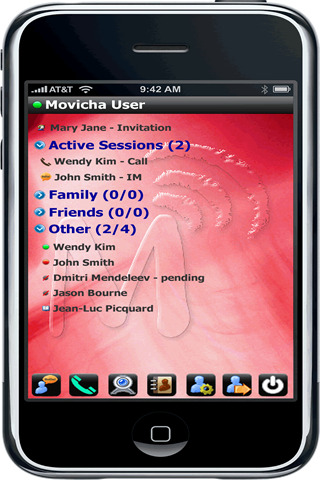 Chat with your buddies who are using iMovicha in other mobile devices and laptops (MAC and windows). 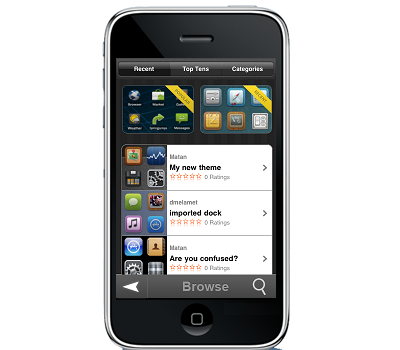 iMovicha is a new smartphone-to-desktop app for iPhone 4. Of course Apple won't approve such an app in the App Store, so it's available in Cydia via BigBoss Repository. 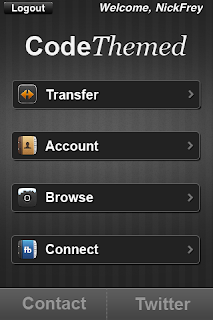 The CodeThemed application allows you to browse through and discover themes, and allows you to wirelessly transfer themes you've created on the desktop site to your iDevice. Update : Version 4.1.2 released ! 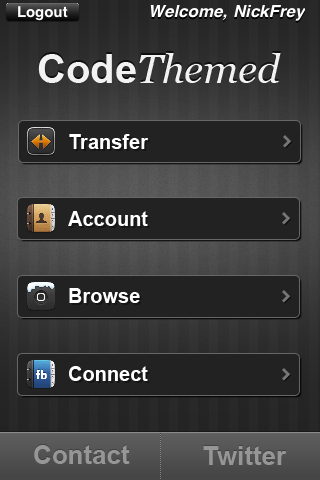 The iPhone Dev Team has finally teased us with a screenshot of the upcoming PwnageTool 4.1 for all iOS devices. This new version of PwnageTool is based on Geohot’s Limera1n bootrom exploit which will allow us to restore custom cooked firmwares (without the upgraded 05.14.04 / 2.10.4 basebands) on almost all the current iOS devices, including: iPhone 4, iPhone 3GS (new bootrom), iPhone 3G, Apple TV, iPad and iPod touch 4G / 3G / 2G. This will enable all iPhone users to unlock using the current version of Ultrasn0w so that they can use the phone on any carrier they like! We've been waiting a bit now for Pwnage Tool to be updated to support 4.x devices, and today's release of Pwnage Tool 4.1 finally gets us there. The main advantage of Pwnage Tool over the limera1n and greenpois0n recent jailbreaks (which actually use the same exploit) is for unlockers. Pwnage Tool's functionality of updating to a pre-jailbroken firmware preserves the baseband you were on (your cellular modem, the part of the phone actually being "unlocked") so your ultrasn0w unlock is preserved. For new 4.1 users jailbreaking for the first time, ultrasn0w does not yet support the 02.10.04 baseband on iPhone 4 (check yours in Settings > General > About > Modem Firmware). As always, Pwnage Tool is a Mac only software. We'll get a full tutorial up soon, but it's pretty simple - download, open, and follow the instructions in the app. If you've already jailbroken with either greenpois0n or limera1n, you will gain nothing by jailbreaking again with Pwnage Tool, so don't bother yourself. Update : Version 1.0-4 released ! v 1.0-4 - fixed installation to do respring after update. Remove Background SBSettings is a new toggle for SBSettings available on BigBoss. This tweak will permit you to close all applications started and which stay in Multitask Dock in once when you leave them with Home button. [News] FaceTime for Mac released ! FaceTime is coming to Macs. "The number one request we've gotten," said Jobs, "is can we please do FaceTime calling with these devices and the Mac?" With that, Jobs rolled out FaceTime for Macs. Answering a major request of many Mac users, today Steve Jobs demoed a FaceTime application for Mac OS X, a development that will rapidly expand the growth and usage of the video chat functionality made possible by FaceTime. "We're really excited by this," said Jobs, reference the ability of iPhone 4 and iPod touch users now having the ability to video chat with Mac users via FaceTime, a new service available today on apple.com (in a beta). With nineteen million FaceTime users already spread around the world, it isn't hard to imagine that millions of new FaceTime users will be ushered into the era of video chat by way of today's revelation. "I think people are going to like this based on the requests we've gotten," Jobs told the media gathered at Apple's Cupertino campus. 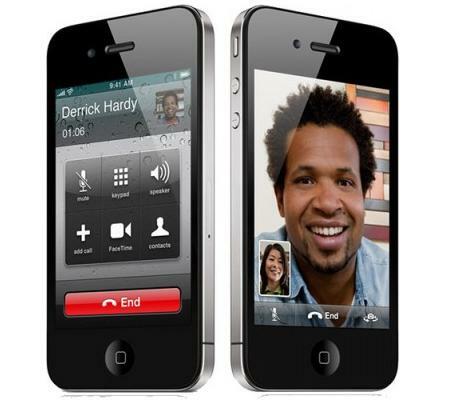 CUPERTINO, California—October 20, 2010—Apple® today announced the public beta of FaceTime® for Mac®, an entirely new application that allows Mac users to video call iPhone® 4 and iPod touch®* users as well as other Macs. Featuring an easy to use interface, FaceTime for Mac automatically uses your Address Book contacts so there’s no need to create special buddy lists, and it works seamlessly with the built-in camera and mic on Mac notebooks, iMac® and Apple LED Cinema Displays. 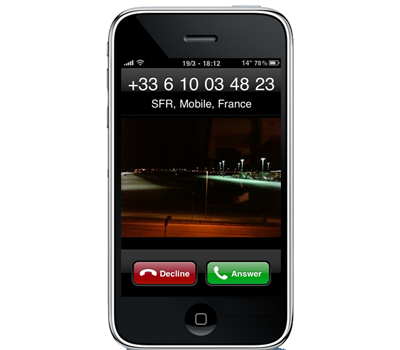 FaceTime for Mac requires Mac OS® X Snow Leopard® and is easy to set up with an Apple ID. The public beta is available immediately as a free download at www.apple.com/mac/facetime. use the new button in the tab overview to close all tabs except the currently selected one. You can apply the Settings via the Preferences.app! This will not add any icons to your homescreen. You can apply the Settings via the Preferences.app! Disables the "Slide to unlock" part of the lock screen, so if you don't have a passcode or pending message, it will skip the lock screen completly when unlocking. On 4.X/3.2+, it instantly goes back to what you were doing. On 3.1 and below it will show the lock screen for a split second + does animations. This will not install any icons on your homescreen. You can turn this modification on or off using from Settings, or by using the SBSettings toggle. 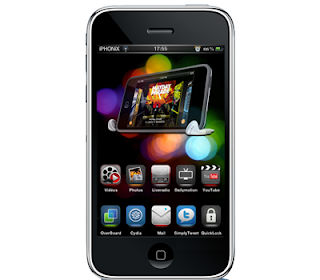 Update 2 : iPod Touch 2G now supported ! 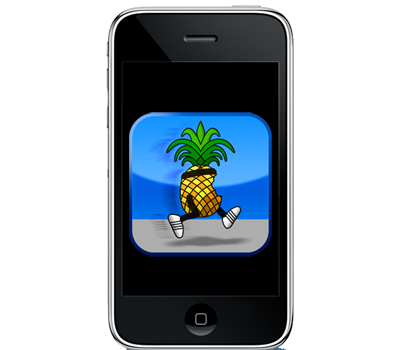 With the release of RC4 of Greenpois0n, the jailbreak tool now adds support for the iPod Touch 2G, both MC and MB models both of which are untethered jailbreaks. pod2g tweeted earlier about his second exploit, which he calls “steaks4uce”, which exists for the iPod Touch 2G. Using this method alongside Greenpois0n, and using Comex's tether hack, greenpois0n adds the iPod Touch 2G to it's list. Both Windows and Mac versions are available via the greenpois0n website. Update : Mac and Linux Versions released ! 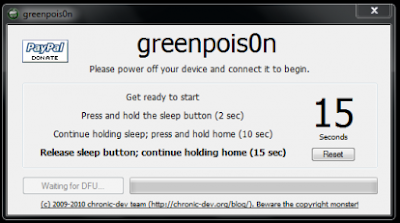 A few minutes ago was published Greenpois0n, the new tool developed by the Chronic Dev Team, with the release of Limera1, does not implement the exploits of Shatter Pod2g USB but the same exploit used by Geohot. As promised, here is the walkthrough of the program. 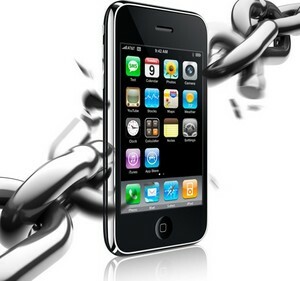 With it you will be able to successfully run the jailbreak your iPhone. 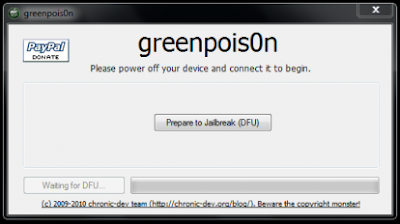 With Greenpois0n users can perform a jailbreak on your device type untethered. This means you will not need to reconnect the device each time you restart the computer to avoid losing your personal data and, consequently, also the jailbreak itself. 1. 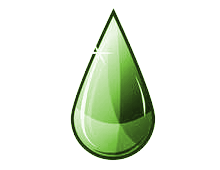 First download Greenpois0n for Windows/Linux from this link. 2. Once the download is complete, move the archive . zip and unzip it on your desk. 3. Inside the folder find the file . exe of Greenpois0n, open it. 4. Open the program, click on the 'Prepare to Jailbreak (DFU)'. 5. Greenpois0n will be shown in the instructions to put the device in DFU Mode (Press the Power button for two seconds, press Home + Power for 10 seconds, release the Power button and keep pressing Home). 6. 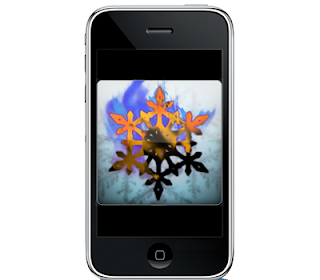 If you have performed these steps correctly, your device will now be entered into DFU mode and then ready for the jailbreak. 7. From here on, the whole process will be automatic. The success of the operation will be confirmed directly by Greenpois0n. Note: the first tests, we are having some problems running the jailbreak an iPhone 4. We will keep you updated if there will be news. MuscleNerd, a developer from the Dev-Team, has hinted at the possibility of PwnageTool being able to provide untethered jailbroken firmware creation for ALL future firmware updates on devices that use the A4 chip (iPhone 4, iPod Touch 4G and iPad). "Think we've figured out a way to extend PwnageTool+limera1n+ @comex hacks to untethered JBs for all future A4 firmwares " says MuscleNerd via twitter. The announcement gives a bit more confidence to jailbreakers who are afraid of being left out when future updates come, like iOS 4.2 for example. This one being a major update for the iPad users, and losing their jailbreaks could be disappointing if there was no way to jailbreak. 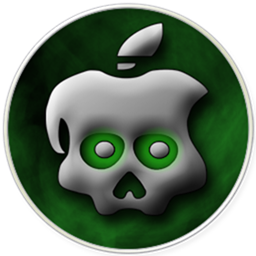 While Limera1n and Greenpois0n are also considered "exploits for life" for the A4, it is not likely that they would be untethered tools in the future, once Apple patches the exiting tools currently used. PwnageTool on the otherhand, would be able to provide these untethered jailbroken firmwares even after Apple patches the current holes that currently provide us an untethered jb. This once again, is what iPad and iPhone 4 users want to hear, as this means you'll be able to jailbreak, untethered, for "life". If this is the case, we may see PwnageTool once again being the main tool for Jailbreaking your iDevices, as we all know, a tethered JB is no fun at all. A small testing version has been uploaded (see the README for details). This will as always only work on the iPhone 2G/3G and iPod touch 1G and needs OpeniBoot installed. PSFreedom for selected iOS devices mostly pre-third-generation devices running Android. Port was created by NTAuthority. Note: Using an iPhone 3G with the slim PS3 requires a different timing for successful boot that hasn't been completely figured out yet. Check the discussion for these experimental timings. A Playstation 3 running Firmware 3.41 ONLY! Unzip, plug iPhone into your computer's USB, run iPhoDroid, click "Shoot!" - these zips contain the above binary distributions of psfreedom pre-loaded. If you want to see the OpeniBoot screen (and be able to run the jailbreak) every time you turn on your phone, be sure to select "install" at the bottom of the OpeniBoot menu on your iPhone the first time you see it. Select Android and wait for INIT to display repeatedly and the jailbreak is ready to run. See Using_PSFreedom for more info. If you try to boot back into iOS and it shows the USB Plug icon (Recovery mode icon), use 'Exit Recovery Mode' in iPhoDroid to fix the problem and allow it to continue booting iOS. Note: Using an iPhone 3G with the slim PS3 requires a different timing for successful boot that hasn't been completely figured out yet. Check the discussion for these experimental timings. A more detailed guide is available for the iPod Touch 1G here. A video on how to jailbreak the ps3 with an IOS device here. Update : Mac Version released !! NOTE: if you’re a Mac user, you won’t be to perform the jailbreak with limera1n in VMWare. You need bootcamp.. NOTE: To those having “iTunesMobileDevice2.dll” error w/limera1n goto “Programfiles(x86)/Common Files/Apple/Mobile Device Support” save and remove “iTunesMobileDevice2.dll” copy and paste “iTunesMobileDevice.dll” rename copy to “iTunesMobileDevice2.dll” run limera1n with no errors! 1. 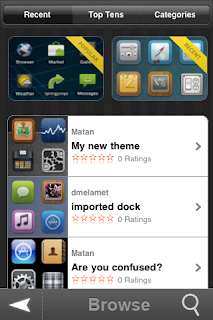 Download limera1n, and iOS 4.1 on your desktop. 7. Now, you will see the image of a lime ra1ndrop on your device’s screen. 8. After a few seconds Limera1n will let you know that it’s done..
10. 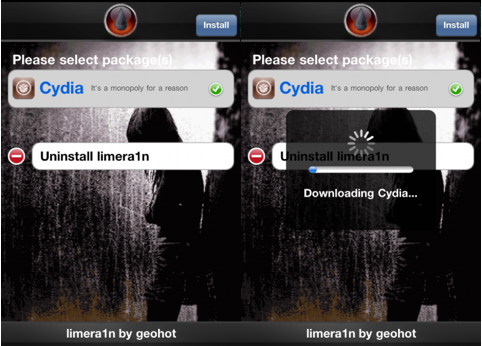 Once Limera1n opens select Cydia then press the Install button at the top right of the screen. 11. If Cydia won’t show up on your SpringBoard after installation, restart your device. The power screen, revamped! Easily perform commonly needed power operations not normally available from the power down screen with GPower Pro. With new options to reboot your device and restart SpringBoard, you can get yourself out of jams, freezes, or whatever your use may be. 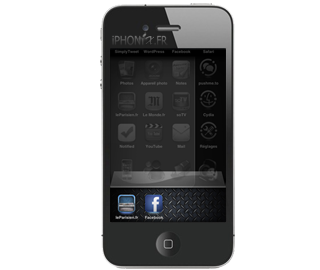 GPower Pro is integrated so seamlessly into iOS that you may just use it for the fun and beauty of it! Coming from one of the developers of Locktopus, GPower Pro directly alters the default power down screen, and EVEN LETS YOU CHANGE HOW YOU INVOKE IT, with Activator in the Settings application. It was written to integrate into the operating system the way I believe Apple would do it, to give you the best user experience. GPower Pro currently supports ALL iOS devices on ALL iOS firmware versions.